Avenues was awarded a Silver Level London Youth Quality Mark last week. The quality assurance scheme is accredited by City and Guilds. 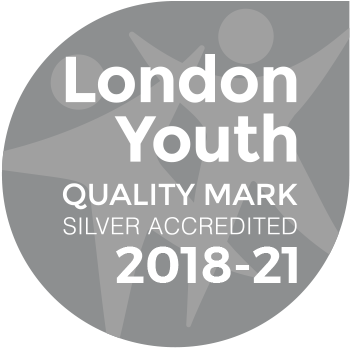 The Silver Quality Mark was awarded in recognition of the opportunities provided to young people, as well as the training and support we provide to staff and volunteers. The Bronze Quality Mark, which we were awarded in 2016, covered policies and procedures that first rate youth organisations need to have in place to ensure they operate legally and in a safe environment. The Gold Quality Mark is the badge of excellence we are aiming for and will waste no time in working towards!